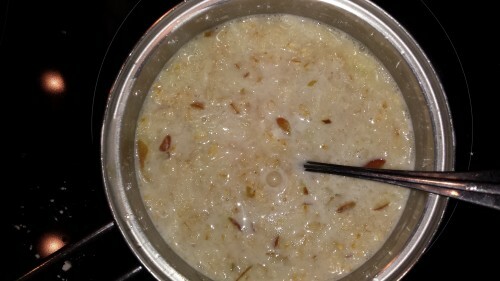 With this nice cold weather there is nothing nicer than a bowl of porridge. If you are not excited about plain porridge, then try this Jamie Oliver style porridge. Jamie has a couple of different ideas, but here is my most recent and favourite. 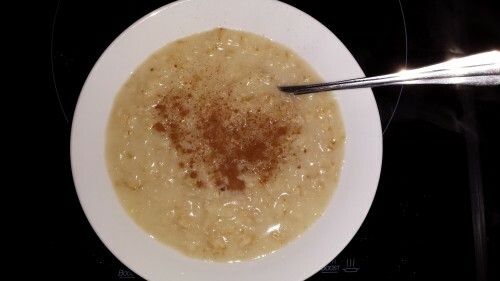 Apple and maple syrup Porridge, i didn't use nuts. Mix all the ingredients together in your pot and bring it to the boil slowly, stirring as much as possible. Let it simmer on a low heat for 4-5 minutes. Serve and finish with some cinnamon. Porridge is a great slow releasing carbohydrate breakfast that will set you up for the morning in school or work.